Our goal at Allied Reliability Group is to become the premier inspection company specializing in infrared thermography and other non-destructive testing procedures, enabling the modern office or industrial plant to optimize operating performance of the facility infrastructure. Allied Reliability Group provides testing and inspection services utilizing state-of-the-art technology to find and resolve potential problems in electromechanical and industrial settings. Allied Reliability Group offers a quick, accurate and affordable solution to assist in reliable preventative maintenance. Allied Reliability Group’s qualified technical staff utilize current, state-of-the-art imaging and analysis equipment. Most testing and analysis procedures are conducted without interruption of power, production or business. Together with your staff, Allied Reliability Group can develop an effective preventive maintenance program. 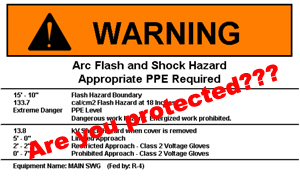 For Arc Flash Information & Services Click Here! !